Looking for a fun family day out? Perth Zoo is open every-day-of-the-year just five minutes from the Perth CBD. You will need at least half-a-day to see everything we have to offer but we recommend a full day to make the most of your visit. Whether it be a family day out, school holiday visit, birthday party, close encounter or being part of a zookeeper program, you are sure to have fun! The Scaly Mates and Bush Buddies Eye to Eye is an ideal close encounter for families of young children or for anyone packing as much into your visit as you can. If you’re planning on coming to the Zoo more than twice this year then the Zoo Friends membership is a fantastic cost-saver. You can keep visiting the Zoo as many times as you like for an entire year plus lots of other benefits. A to Zoo – Especially for littlies (2-5 years), this fun and interactive early childhood program takes them on a journey through the Zoo learning about their favourite animals. Storytelling, craft, movement and music at its wildest. A to Zoo is a fun, factual, fast-paced eight-week term of activity about animals, especially designed for children aged 2-5 years. Keeper Kids – Calling all animal loving 5, 6 and 7 year olds! 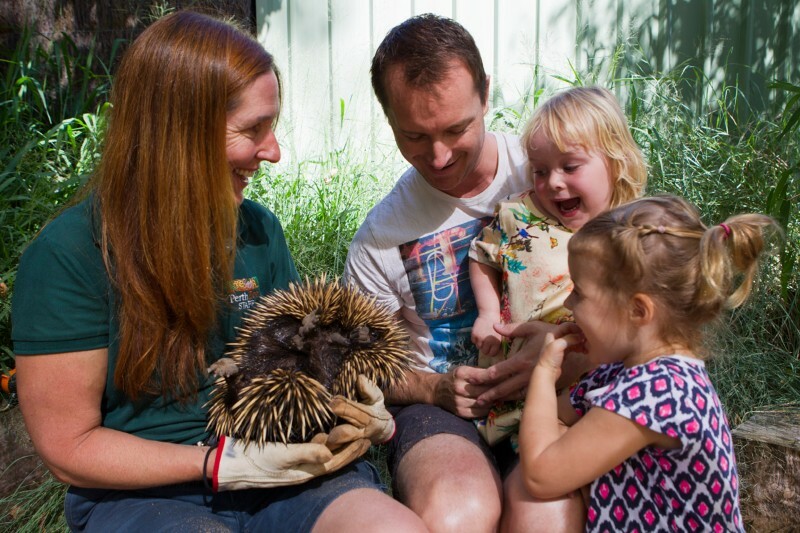 Join us for a super day at the Zoo these school holidays. The kids will get the opportunity to learn how we look after Zoo animals, explore the Zoo with our staff, meet some of our most treasured animals, play games, make a craft to take home and learn how you can make your garden more fauna friendly. Zoo Crew – Zoo Crew is a Perth Zoo educational adventure day for kids aged 8-13 where they have the unique opportunity to learn about what’s involved in caring for the Zoo’s incredible animals. Wild Vets – From the dangerous to the unusual, find out how we care for Perth Zoo’s animals at Wild Vets. Teens aged 14-18 spend the day with an experienced zoo and wildlife veterinarian going behind-the-scenes and getting involved in a range of activities and animal encounters. Do you have an little animal lover celebrating a birthday soon? Be sure to check out Perth Zoo’s Birthday Party Packages! When: Perth Zoo is open from 9 am to 5 pm every day of the year, including Australia Day, Good Friday and Christmas Day, unless otherwise specified. Please note: Perth Zoo closes at 4 pm on New Yearâ€™s Eve (31 December).